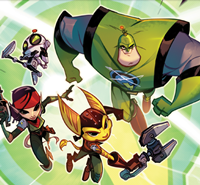 Get Ratchet & Clank: Nexus if you haven't already. 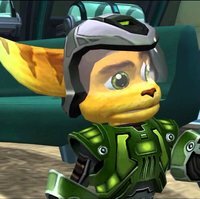 Well, as told you earlier, developers are moving to newer consoles to make better games, like back in 2007 when Ratchet moved from PS2 to PS3. We should still be glad IG made ItN, they could've just left the PS3 with FFA. I cant stand the little screen. I prefer the the large, normal screen to play games on. I have a Vita and I really enjoy it. I don't know why people keep complaining there aren't enough games for it. But Sony did say they are moving away from the Vita even farther. Which I can understand, they release games such as Uncharted: Golden Abyss and Assassin's Creed: Liberation and people still aren't buying. Well, they focus on PS3 and PS4 because they can make bigger games for these consoles - in short, they don't want to limit theirselves with handhelds. In fact, Insomniac made anything for PS Vita - all the ports are made by other studios. I don't think they focus on the PS4 because it's more powerful at all. I mean look at the PSP. The PSP was able to stand it's own with the PS3 hovering about, but it pressed on and we got great games because the market was buying them. The Vita isn't selling (Thanks to smartphones and 3DS), so the only option is for Sony to bring it's PS4 Indies over to it to make it look "alive"
I wasn't talking about SONY, but Insomniac. And the reason they stay away from handhelds are their limitations. At least that's what they said. Yes, that is true. They are set up to create home console games. Although the PS Vita was supposed to target that market, no AAA PS3 developers wanted to jump on because it was a gamble, and they were already doing fine with PS3, so why risk it all for a device that would be way more effort than it's worth. I mean if Insomniac want to create mobile games, that's easy enough, so why not? But a PS Vita game is a big risk, and a lot of trouble. Looks like Mm did alright though. But still they're making Tearaway on PS4, likely so they can capture a "proper audience".